A multi-modal distraction device was conceptualized from literature that suggested handheld games were effective but lacked perspective for the younger child, and studies that showed the immersive qualities of VR were able to remove the anxiety and pain context from procedures in adults but may not be suitable for younger children. 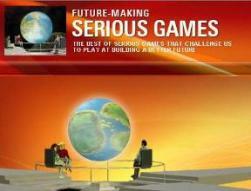 The Ditto console and content, aimed for the middle ground between these two available technologies to enable appropriate access of younger children to the benefits of “games for health”. Prototypes were developed from the collaboration of medical and developmental experts together with designers and technologists to form Ditto. These prototypes were then assessed in randomized clinical trials to further develop the concept, and have also shown Ditto’s efficacy in significantly reducing pain scores, during burn and orthopedic medical procedures, beyond that of handheld games and historical tools of TV and toys. 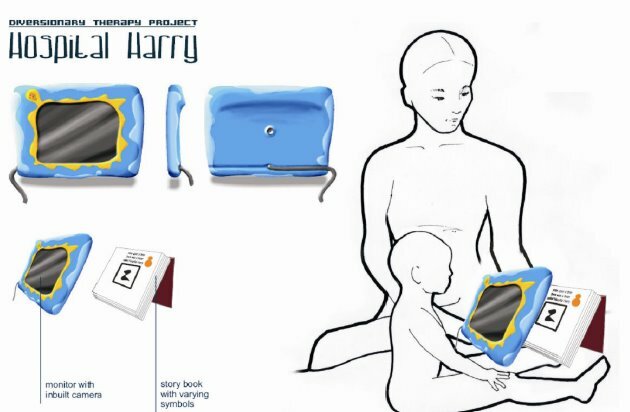 The clinical usability of the device has also been assessed with positive feedback from children, caregivers and a multi-disciplinary team. 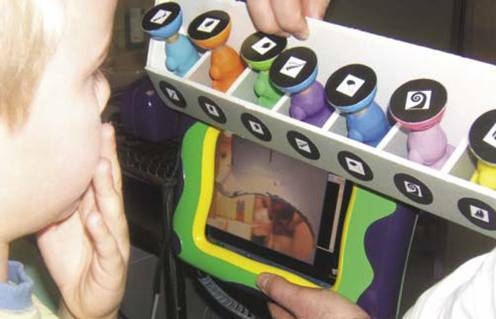 Ditto’s success is in the easy to manipulate multi-modal console, and uniquely developed multi-sensory content, including interactive stories, preparation for procedure stories, and games, which are based on developmental and clinical perspectives. The future sees rapid content development for specific hospitals, clinics and procedures that in-scripts the facilities own pain philosophies into the content which creates a continuum of care that ensures efficacy and consistency across individual centers. This talk will focus on the Diversionary Therapy concept (ditto prototype) and provide an overview of the multidisciplinary collaboration which was required to ensure the concept met scientific, clinical, patient and business needs. Every year, thousands of children across Australia present to hospitals and outpatients units with serious burns injuries that can require painful treatment several times a week for some months. The Royal Children’s Hospital, Brisbane, had approached ACID - the Australasian Cooperative Research Center for Interaction Design, to ask for help developing a more effective method of pain reduction. Early trials indicated that children using the new technology with standard treatment protocols had 50-66% reduction in pain scores. “The treatment of burns, particularly for young children, can be excruciating and drawn-out,” says Dr Roy Kimble, Brisbane Royal Children’s Unit. In burns treatment, bandages have to be removed from the wound up to three times a week for three or four months. “Existing pain management methods are heavily reliant on drug intervention. Diversion helps patients relax - which clinical trials has shown - reduces pulse and respiratory rates, and overall pain levels,” he continues. 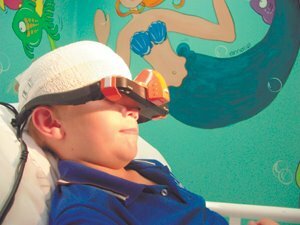 The Diversionary Therapy technology developed by ACID, in partnership with the Royal Children’s Hospital, diverts the child’s attention during painful procedures. Associate Professor Sam Bucolo, Research and Development Director, ACID, led the team that developed the technology. "We developed two versions of these interactive devices to engage kids when their attention needs to be diverted from painful medical procedures," he said. 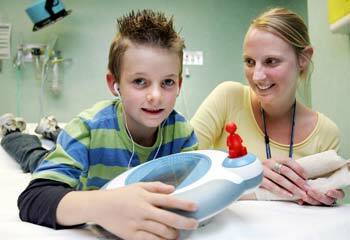 "We designed a handheld 'digital storyboard' for younger patients aged from about three years. The children can operate it themselves or it can be operated by mum or dad. Older kids can either use the hand-held storyboard or 3D goggles, which they think are pretty cool." The devices offer a reality experience with colourful 3D characters, animations and adventure stories, and come complete with automated narration. "The young patients get immersed in the adventures and can navigate through a series of scenarios and quests by either manipulating the 'digital storyboard' or moving their head, if they're wearing the goggles," Professor Bucolo said. ACID believes this technology - combining digital media, augmented reality and diversionary therapy - has great potential as a pain management tool in other medical areas, for example emergency medicine, oncology, radiology and dentistry.